*Brad Olsen is an economist at Infometrics. Pretty much sums up there is no control over immigration. Cushy bureaucrats on $100K+ and can't even do a simple counting job. The figures for permanent residency approved is reliable and trending downwards. Although on a per capita basis is still higher than other countries. 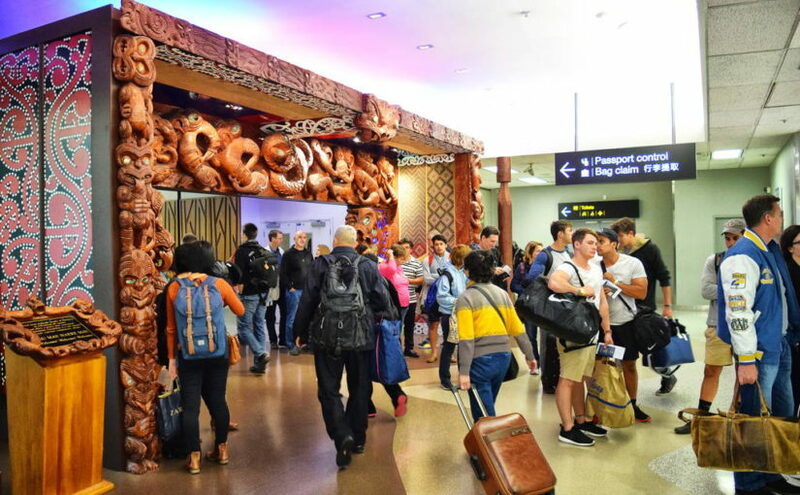 Even if our Dept of Stats was a pefect organisation the problem with immigration numbers is there will always be a large number of foreigners in NZ who may be here to work or here to holiday/study and every stage in between. Is a tourist on a long holiday who does a days paid fruit picking an immigrant? Is someone who never works but is only studying in NZ as a means of buying their eventual residency an immigrant? The simple solution would be to match immigration visas with IRD annual returns. Done in other countries where it helps identify criminals (NZ has had young drug smuggling permanent residents who had no tax return for nine years) but not done in NZ because of 'privacy' concerns. It would reveal how many valuable immigrants we have contributing to our economy and how many low paid immigrants competing with our unemployed are in NZ. Yes agree - I have heard of the 2 dollar shops located in high rent malls that obviously don't make a profit. Used to clean money for other activities. I would love it if the IRD cracked down on these businesses. Some 2-dollar shops in my area of North Shore Auckland are clearly making money. I met a Kiwi who told me he created businesses purely to sell them to wealthy applicants for 'investor category' residency. His current business was car tyres. That was a decade ago and I think our dept of Immigration is beginning to notice how few of these investors end up with profitable exporting businesses employing plenty of Kiwis. However a chinese accountant told me that there are small coffee shops in that only for residency category. It is noticeable from the INZ residency stats that investors are 40 times more likely to be Chinese than Indian; I suspect in the UK it would be the other way round. All modeling works that use immigration numbers are pretty much stuffed as well. Good luck on the guessing work. What would be so hard about doing a headcount everyday of who came in at the airports (and the very few others who sail in). And everyday do a head count of how many went out. It would be easy to see the incoming/outgoing/ and net numbers published the next day. Every day. Very raw numbers, but probably as useful as all the fiddly stats. It's not rocket surgery, we are not a country with a lot of entry points. I agree - just look at in's and out's - regardless of reason. 1,000 New Zealand nationals leave permanently in one month for Australia. 1,000 immigrants arrive in the same month. So on your premise, net immigration = 0. No worries. This is highly plausible but the significant economic and social implications are lost on this basis. True, but it would shut up all those debates about lack of infrastructure. Trouble is that over the long term our population is growing much faster than our govt can build things or train new teachers, nurses and even bus drivers. The root of the problem lies with the Ministry ( ies) responsible for immigration and those ministries bringing staff here , like the Min of Education currently bringing in teachers. The immigration authorities dont obtain the correct data from incoming travellers, temp workers , students, and from us when we travel , simply because they dont ask the right questions . Immigration authorities do know how many Visas they have issued in each category , and this is what should be reported . Rather than blame Stats NZ , we should be asking Government for answers as to what is really going on, and put the Immigration Minister on the spot . This is how we don’t really know if there’s a housing shortage, rather than just a speculative bubble. What’s clear is there are plenty of houses for sale, increasingly so. Numbers please... I cannot complain about the excessive immigration if we don't have the numbers, not that anybody is listening anyway. I posted a couple of times my concern for the reasons now being raised when it was stated that departure cards were to be phased out. However, the reality is that the use of departure cards was also fraught with errors but we tended to accept without question the precision of the data produced by Statistics New Zealand. Accurate data is required for many purposes at all levels. Unfortunately SNZ is having a rough time over the reliability of both migration and census data. I wonder how the the NZS CEO's performance bonus is affected? Probably not at all. At some level we interpret the quality of govt stats with our own experience. Do you meet visible immigrants at checkouts, installing broadband, driving buses, nursing, etc. I know Auckland is a magnet for immigrants but my daily experience does colour my trust in govt stats. Given a margin for error I trust the immigration data for numbers; it does seem high compared to other countries and that matches my daily experience. Where I an highly distrustful is the data that is not issues about the skills we are supposed to be getting. Maybe they do have qualifications but they are just making coffee or baking bread and I wonder why we let them in. Admittedly I have a great GP (from Iran?) and have met a superb programmer from southern India. We have some immigrants that boost NZ. The best way is to have multiple counting methods that self-check. All govt departments have their own stats, it's just a simple matter of asking for the specific numbers, adding them up or cross-referencing them & bingo, you'll have a pretty good idea of what's coming & going. The Australian Reserve Bank has about 140-150 separate dials, or reads, on all the money movements right across the markets. Our Reserve Bank has the same. Surely someone in Wellington could ask the right questions so they get they right answers. Too many in our establishment want the perks of low wage immigrants: cheap coffee shops, child-minders for their kids and carers for their elderly parents, more tenancy demand for their investment properties and for NZ a thriving low wage economy with ever increasing GDP. However they are scared to let the voters know so the emphasis is on 'skills' and the stats are not issued.